It’s spring, nearly summer and you haven’t figured out a way to bring the blooms of nature into your wardrobe. I get it, you may not be a “floral” kind of girl. When I’m not modeling I wear tons of black all year around so just buying something with light bright flowers all over it wasn’t going to happen. However, I did figure out how to bring spring to my closet on my own terms. For this OOTD I stuck to what I love and added spring in my preferred pops of color. 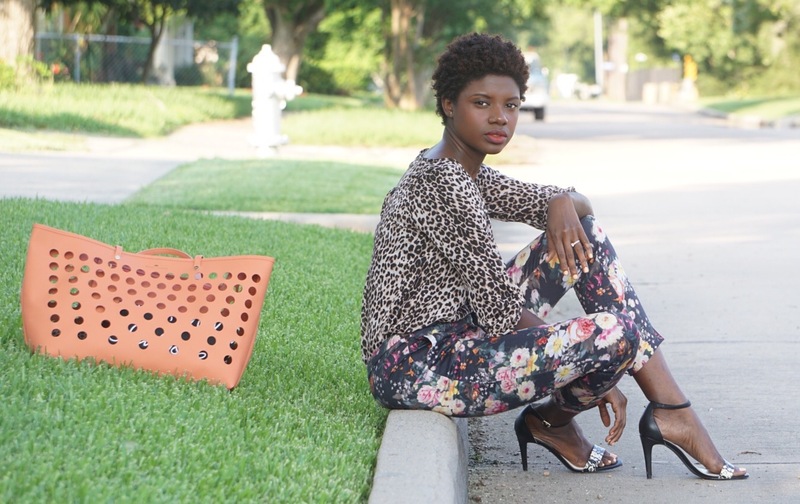 When I first saw these pants I loved that the background was black and the flowers were light.If I had to pick a pop of color for my lips or floral prints I would always go in the direction of the red-coral family. The floral pants have a high waist which allows me to wear a crop top with out feeling over exposed. The pants are lined with shorts on the inside and are sheer from the mid thigh down. That definitely helps me to keep cool in the Texas heat. 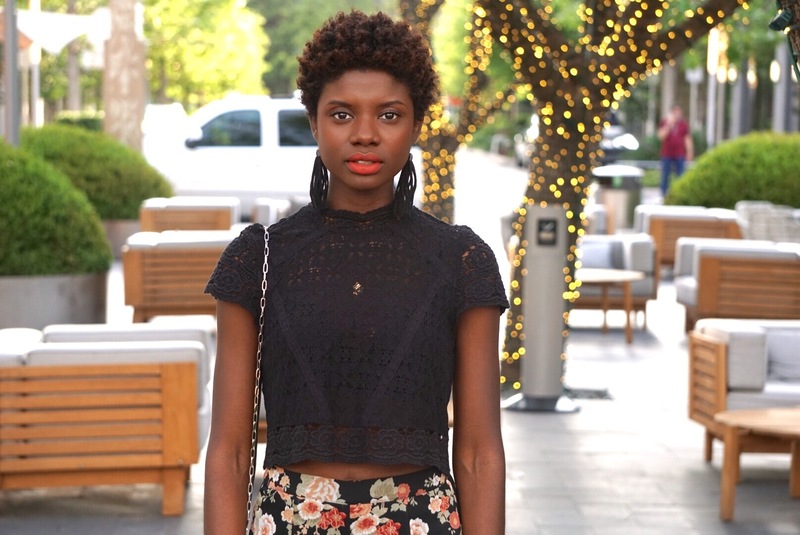 My top is crochet textured which has the power to make a look more interesting when you’re wearing dark colors. Not just picking up the first thing with flowers all over it helped me to really love this look and want to wear it again and again. I added my DIY tassel earrings and my custom Milan Blocks purse to keep it funky! 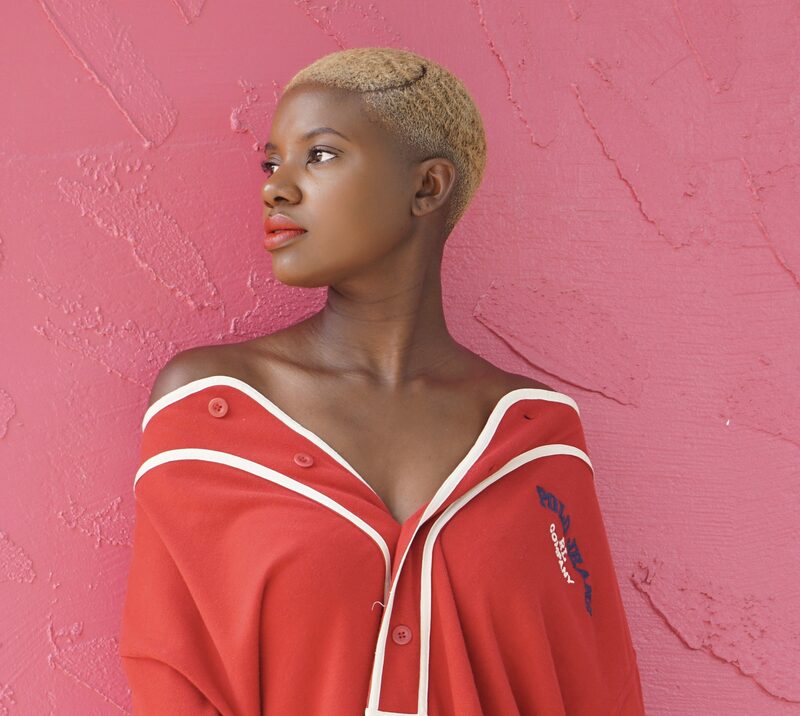 Don’t feel pressured to copy spring or summer trends on anyone else’s terms. Find authentic ways to incorporate things you like into your existing wardrobe. Enjoy! This is another OOTD like the perfect dress I posted a few weeks ago that is just everything I love. When I say “everything I love” I mean black, white, coloring blocking, horizontal stripes, comfort, airy and loose.With the Houston heat having an outfit that catches a faint breezes is important. I wanted this look to be minimal so the v-split in the back is what adds interest to a plain black top. Although they’re all white, the culottes themselves are interesting because at first glance you may not be entirely sure what they are. Not pants, not capris, could it be a skirt? No, they’re culottes! My shoes are black with a wide faux snake skin strap across the toes. My accessories are minimal as well. I’m wearing my gold collar necklace and my gold nail bracelet from Charm Envy. 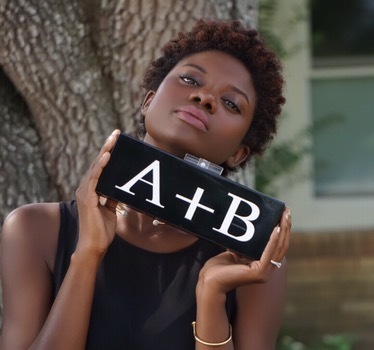 The star of this look is the custom box clutch from Milan Blocks. On one side it has black and white horizontal stripes and on the custom side the the Authentically+B logo lettering. The chain strap is detachable so it can be used as a clutch or a purse. 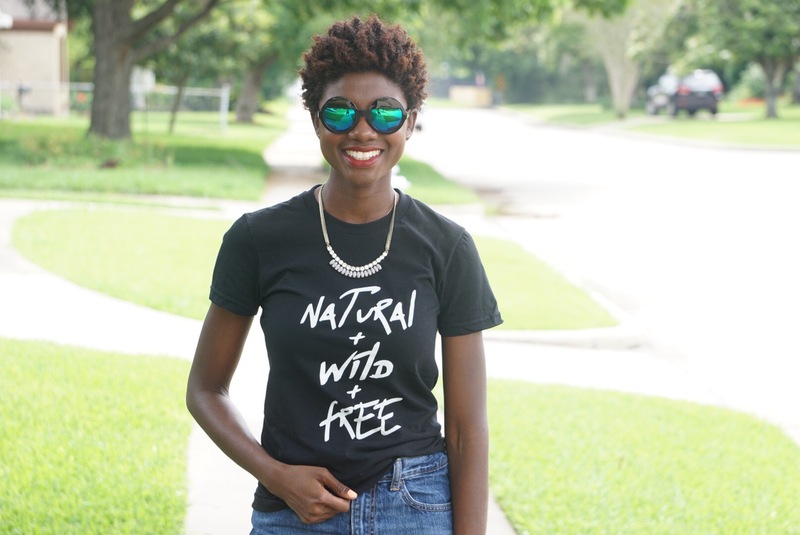 This OOTD is fuss free, simple, comfortable and more importantly cool! Leave me a comment and let me know what your favorite minimalist look is, Enjoy!